So what are the best herbs to vaporize? Well, there are many herbs for vaporizers, each with their own unique flavors and effects. Inhaling herbs into the lungs is one of the fastest ways to receive the medicinal (and pleasurable!) benefits of the plants. My favorite herbs to vape are ones that produce feelings of relaxation, enhanced creativity and those shifts in consciousness to put you into a higher state. There are several herbs that have these effects, so read on to learn more! Damiana: I like to use Damiana as a base for many of my herbal smoking or vaporizer blends because it burns/vapes beautifully and smoothly and blends really well with other herbs. It is relaxing, eases stress and anxiety and I find it really enhances creativity and connection with both yourself, others, and your environment. You may walk down the street or ride the bus feeling much more compassionate towards the crowds, or maybe you find yourself deeper in your writing, art or meditation practice. You also might, dare I say it, feel more intimate with your partner and more sensual in general. At any level, you will feel less stressed and more uplifted. Blue Lotus: The lotus plant is a revered sacred herb that began it’s journey along the river Nile. In Egyptian art and glyphs it is frequently seen in connection with scenes of celebration and spiritual rituals. This was probably due to Blue Lotus’s hypnotic, consciousness altering effects. 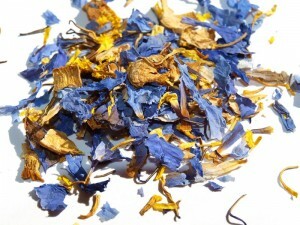 Blue Lotus is relaxing and blissful, and in higher doses lends a euphoric feeling to the user. 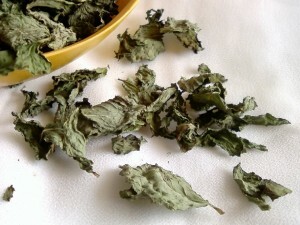 It is used now in smoking and vaporizer mixes and also in cocktails and teas made by soaking the lotus flowers in wine or alcohol for 1-3 weeks (this is the most potent way of extracting the lotus) or simmering the flowers for 10-20 minutes for a water based beverage. I love combining my lotus with Cacao for a really euphoric herbal elixir. In terms of herbs to vape, Blue Lotus combines very well with Damiana. Wild Dagga: Wild Dagga is an interesting herb to vaporize in that it’s effects are more pronounced when COMBINED with other plants. 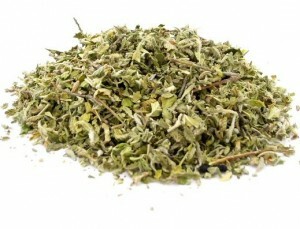 On it’s own it’s effects are subtle relaxation and a mood uplift, but due it’s function as an “empathogen” Wild Dagga works well to enhance the effects of other herbs it is used with. So by combining Dagga with your other favorite herbs to vaporize you can enhance their effects and you will find yourself using less plant to achieve the same result! If you blend Blue Lotus, Damiana and Wild Dagga you are well on your way to a relaxing, creative smoke blend. It burns well and definitely has it’s own unique flavor and personality to add to your vaporizer repertoire. Lavender: Vaporize the floral, fragrant petals of the lavender flower for a mellow, tension relieving effect. Vaporizing Lavender calms the nerves, adds a beautiful flavor and even induces sleep when it’s hard to come by. Passionflower: Used in herbal medicine to reduce nervousness, anxiety, stress and insomnia, Passionflower is another calming and relaxing herb to vaporize or smoke. Passionflower increase the levels of GABA in the brain, producing these tension relieving effects. Combining Passionflower with herbs such as Damiana and Lotus can produce a pleasant natural high. This plant can also help with nicotine addiction and withdrawal, making it a good friend if you are trying to quit or cut back on tobacco. Spearmint: Vaporizing Spearmint can add a fresh, cooling, menthol like flavor to your vaporizing. Spearmint is rejuvenating, helps digestion, and eases respiratory issues. A nice after dinner herb! Well that should give you a good start on your herbal journey! To learn more, purchase herbs online, and see what sort of fun herbal vaporizer blends I’ve created visit www.harmonyherbals.com. Herbal Vaporizer Blends, Sacred Herbs and Superfoods.